Honey Mustard Roasted Nuts | Naturally. Place the nuts in a medium size bowl. In a separate bowl, whisk together the egg white, honey, mustard, mustard powder, and sea salt. Pour over the nuts and stir until the nuts are well coated. 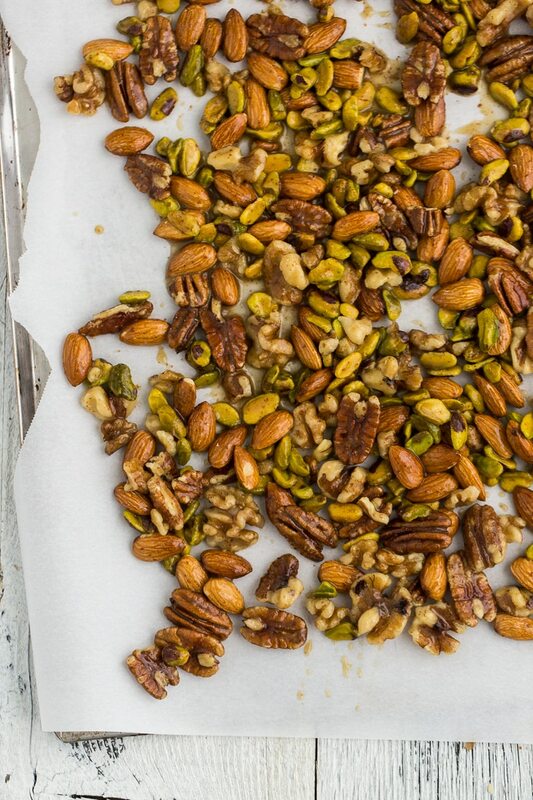 Cover a sheet tray with parchment paper and pour out the nuts onto the tray. Spread out in a single layer. 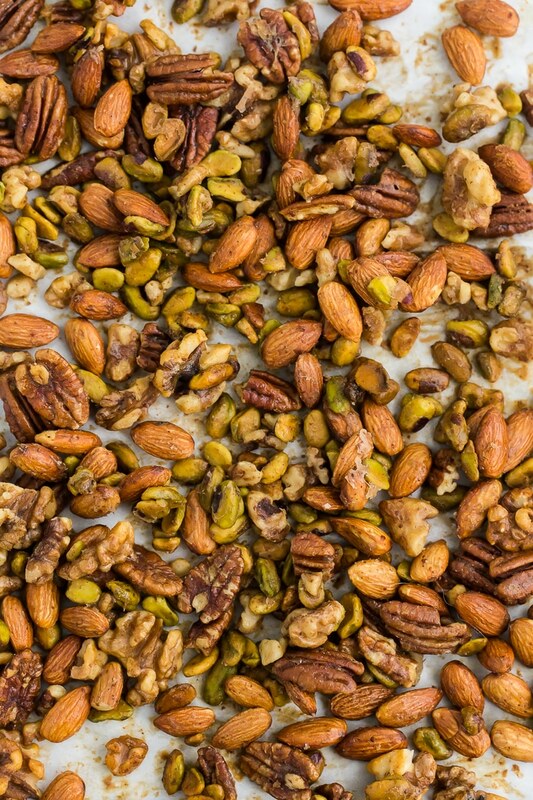 Roast the nuts for 45 minutes to an hour, stirring and checking every 15 minutes. The nut mixture should be sticky and nuts should be slightly crisp (but they will do the majority of crisping while cooling). 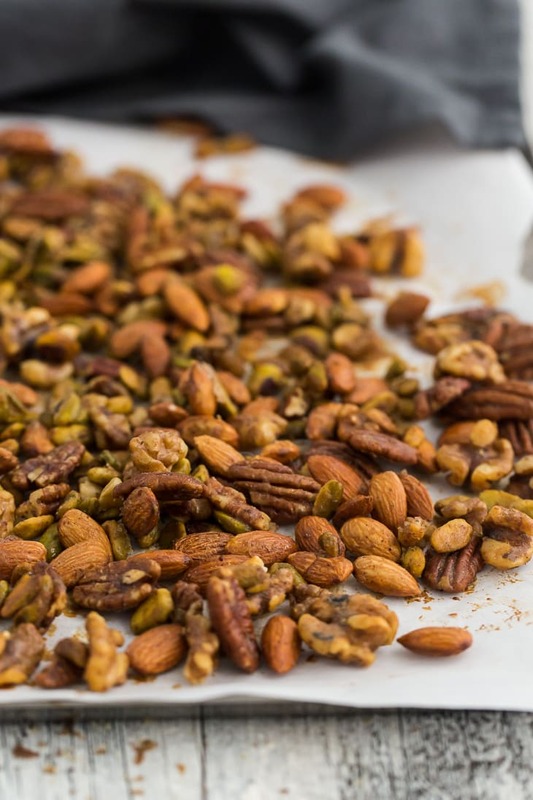 Let nuts cool completely and transfer to an airtight container. Recipe adapted from California Almonds (as also seen on Cookie + Kate). Hooray – congratulations on the boy news, Erin!!! I’ve only got 8 months of experience with my twin girls, but you’re in for a lot of fun. And keep up the snacking, especially on something as tasty as this. These are going on my list to make and stash in my desk at work. Congrats on the baby boy! I love love honey mustard, and don’t make it as often as I should. Totally keeping this recipe! A boy! How exciting! He’ll be one lucky chap to have you guys as parents. I am such a snacker but trying to get better at actually channeling that towards tasty + nutritious snacks rather than grazing on whatever happens to be open in the fridge (eg chocolate chips…). Making these asap! I love how versatile this recipe is. 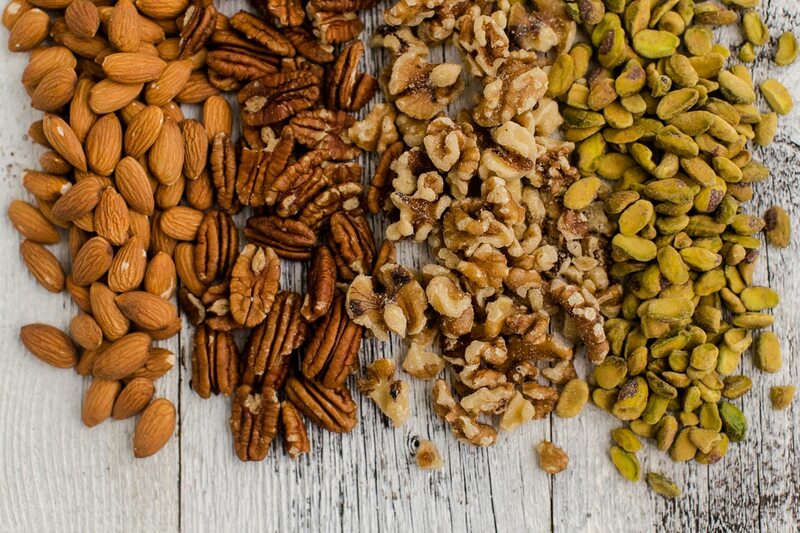 Cheers to roasted nuts in different flavours – and cheers to your baby boy! This sounds amazing, but I am allergic to egg. It seems that egg white would mainly work to stick the other flavors to the nuts, yes? Although honey and mustard might stick on their own, too, as they are pretty sticky. I really want to try this, and might do so using a chia gel instead of the egg. I’ll let you know how it goes if I do. This looks amazing. 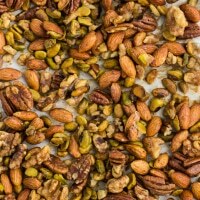 Nuts have been my primary snack while pregnant. I would love to have a nice change with this mix. Hello! This recipe looks so delicious—I can’t wait to try it! About how long will these nuts last in an air tight container? I usually keep them up to a week, but they might last a bit longer! I made these, they turned out really good. I was disappointed at first but the flavors intensify when the nuts cool.